The full schedule for the iTunes Festival has been announced. Like previous years, iTunes takes over the Roundhouse in London in September and provides a month's worth (yes, 30 days) of concerts that stream live worldwide. 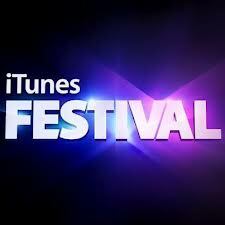 The live webcast is available through iTunes, the iTunes Festival app for iPhone, iPad, or iPod Touch; and Apple TV. The concerts usually start around 8pm London time (3pm ET), which may be a bit inconvenient for North American fans. In the past, many of the shows were archived and made available for on-demand viewing, and it's also highly likely many of the shows will end up on You Tube in one form or another. Take a look at the iTunes Festival schedule below and for more on the iTunes Festival, visit the official site, or download the app.